A recent Washington Post article examines the state of patients in an intensive care unit in a Norfolk hospital. Post reporter Peter Whoriskey describes the scene of patients with feeding tubes, breathing machines and wrist restraints (to keep them from unhooking the equipment). The Washington Post article reminds us of the importance of Advance Directives for all patients. These determinations can and should be made before an illness or condition reaches a critical stage. Also, the importance of strong involvement by family members in dealing with a patient’s medical team cannot be overstated. Ask questions and offer input. And when decisions must be made, consider which path of treatment will be best for the patient. To read Peter Whoriskey’s article in the Washington Post, click HERE. 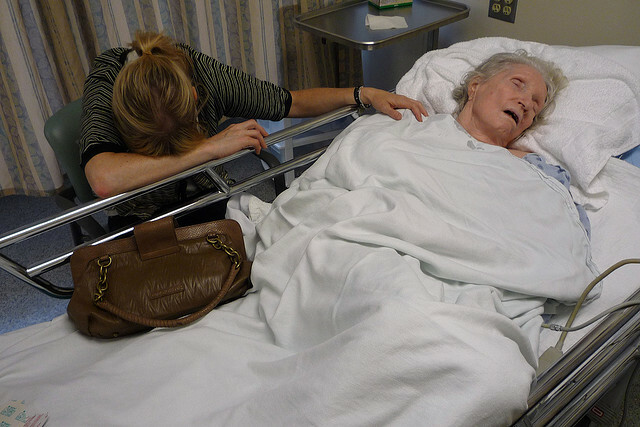 When should a patient facing a major health issue switch from aggressive treatment to hospice care? This is a big question patients and families face. Should you, as a family member, determine that your loved one is in that gray zone, we at Hope Hospice suggest that you consider your choices carefully. If you have questions about hospice and the full range of services provided, please call us at 314-984-9800. Our team is always ready to answer your questions. While it may not yet be time to place your loved one on hospice care, it’s good to know what hospice care is all about, should the need arise. Hope Hospice serves patients and families in St. Louis city and county and in Jefferson, St. Charles and Franklin counties. Hope Hospice offices are at Barrett Station and Manchester Roads. Each year Hope Hospice collects apparel to distribute to area nursing homes to help keep St. Louis area senior citizens warm during winter. 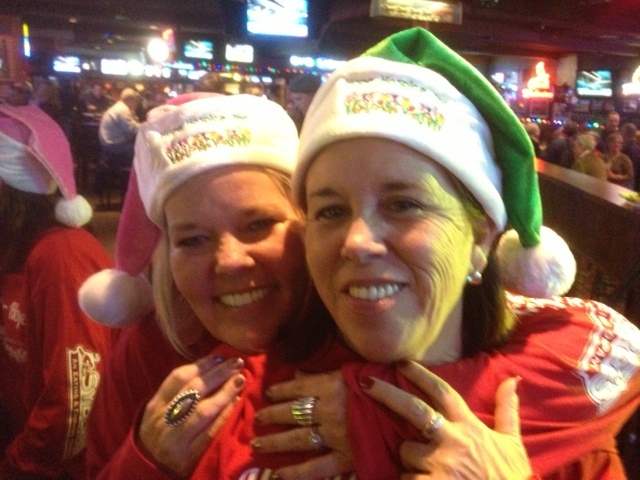 The 2014 Heating Up For Seniors collection drive will find Hope Hospice staff and volunteers accepting donations Saturday, December 6, 7:00 p.m. to 11:00 p.m. at Syberg’s on Dorsett and Helen Fitzgerald’s on Lindbergh. 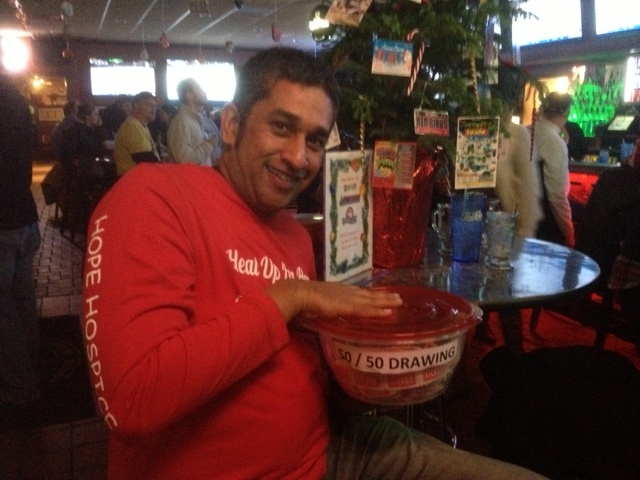 The Hope Hospice team will also accept cash donations Saturday evening and will hold 50/50 drawings to raise money for more warm apparel. 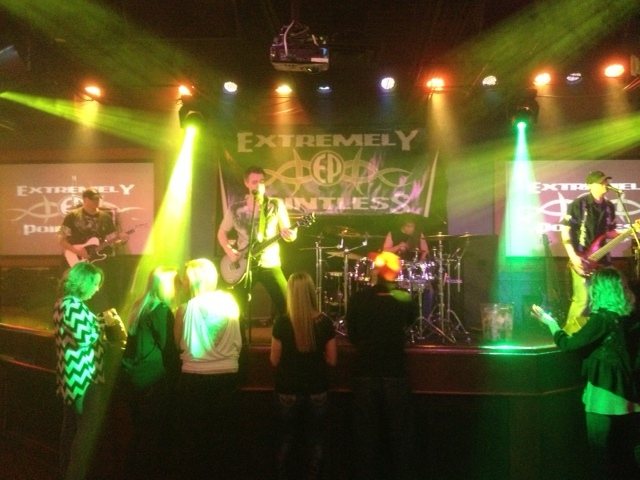 Both locations feature live bands on Saturday nights and lively crowds. 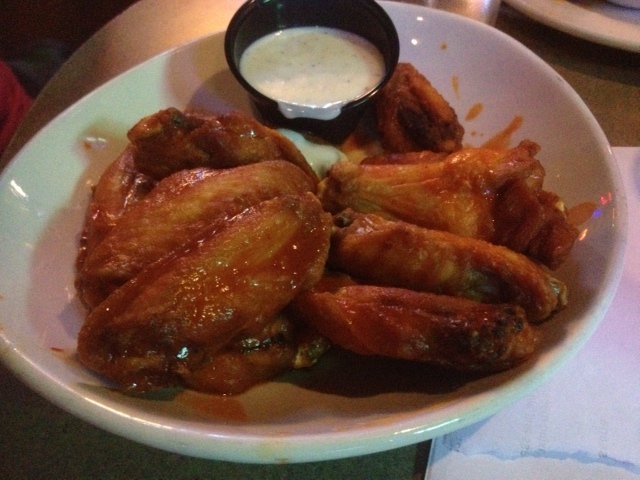 They are fun venues to enjoy good things to eat (such as Syberg’s Wings, shown below) and drink. 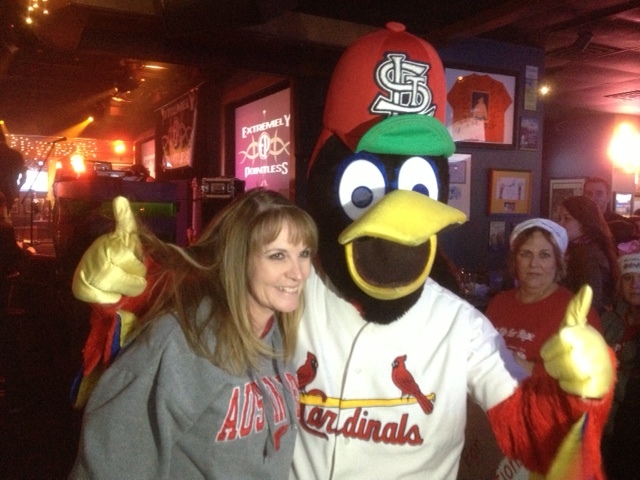 Last year, we were visited by Fredbird! 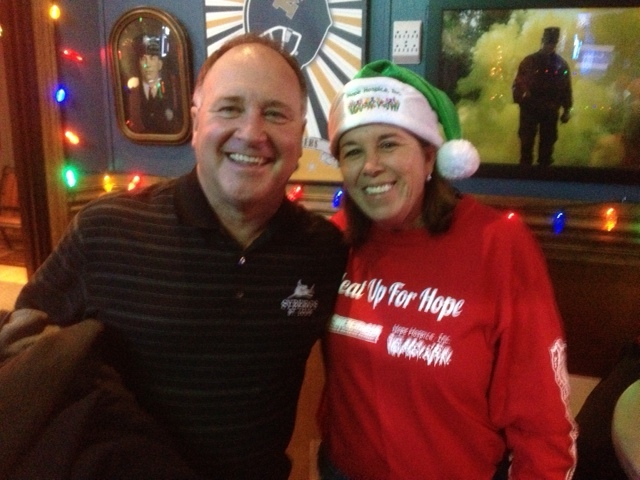 We invite you to join the Hope Hospice team Saturday evening, December 6, beginning at 7:00 p.m. at Syberg’s at 2430 Old Dorsett Road in Maryland Heights and at Helen Fitzgerald’s at 3650 South Lindbergh in Sunset Hills. Thank you in advance for your support of our 2014 Heating Up For Seniors collection drive. And thanks to Syberg’s for their great support. For more information about Hope Hospice’s Heating Up For Seniors drive, please call the Hope office at 314-984-9800.